S A Partners completed its first Shingo workshop of 2014 in Europe on Tuesday the 18th March and was attended by a wide mix of companies such as Nestle and the NHS with feedback being extremely positive. 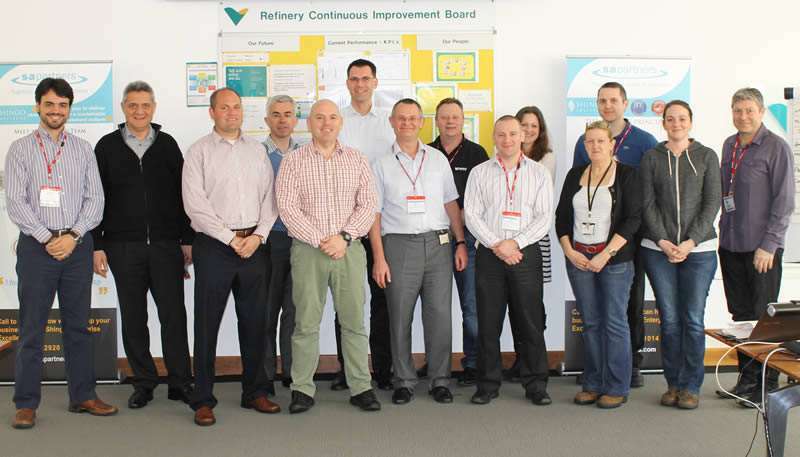 The workshop was held at the Shingo prize winning Vale refinery in Clydach, Wales, where they have been breaking production records, and reducing operational costs due to their implementation of continuous improvement throughout all areas of the refinery. On the first day of the workshop, members learned about the Shingo model and how they align their organisational principles and core values with their systems. The presentation was intermixed with group exercises with the aim of teaching the student how to identify if those behaviours existed. On day 2 the students were then taken out into the different refinery departments to implement what they learned on day 1, and interview Vale employees around a specific system, principle and behaviour to find evidence of it. The departments the students chose to investigate was engineering, smelting, purchasing and accounts. It was here that they could then follow their training and ask specific questions around ideal behaviour and systems, and mark according to their findings. Nigel Woods of Watts Water Technology, said that he felt the two day workshop gave him the missing ingredient to removing the typical peak and fall that many organisations experience on the continuous improvement journey. Mat Jackson of Dow Corning Ltd felt that it identified the principles and behaviours that made it more tangible where you could start to focus more on. During the purchasing and accounts visit, Joanne Tomlins of the NHS was very impressed by the attitude of the people working there. She saw evidence during her investigation exercise, that the culture was deeply embedded right across the organisation, and found that collaboration was across all departments and through all levels of the organisation. Most of the attendees are now looking at Shingo in greater detail as a way of improving the continuous improvement culture within their organisation. S A Partners would like to thank all the staff at Vale for allowing us to hold the workshop at their Shingo winning refinery, and for taking time to answer all the workshop attendees questions during the investigation section of the workshop. If you would like to take part in other Shingo Discover Excellence workshops that S A Partners are running, then you can visit the Discover Excellence event page to read more about the workshop, and book online. Why not read the blog by Prof. Peter Hines on defining Continuous Improvement.